22oz brown bottle with no freshness date. Tight lacing with rings all the way down the glass, black ... opaque. Piney, minty herbal hop, brown sugar, chicory, ripe plums, alcohol, coffee & cocoa powder in the nose. Creamy and very smooth, thick medium body. Slight charred grain throughout, enough bitterness to wear the IPA badge and more than enough hop flavor to keep the brew interesting; orange peel, mint, tobacco & woodiness. Slightly boozy, dates, more subtle char, bitter sweet finish. A sizable brew with a lot of flavor to take on, it does have some balance but really is still only a sipper for obvious reasons. Worth a go. Had on tap at the Filling Station here in G-boro tonight.Poured into a standard pint glass a deep dark chocolate brown with a sticky half finger beige head atop.Aromas are a mix of piney,earthy hops and dark malts,just a little brown sugar-like sweetness is detected.flavors are on the dryer side with a decent shot of pine resin and citrus,there isn't much sweetness to balance out the hops and dryer base,the alcohol provides a little sweetness as it warmed.A big ABA but not real heavily hopped and or roasted,still it's better than way to many of the style in my opinion. 22 ounce bottle - $5.99 at Charlie's II in Acworth, Georgia. Appearance: Pours a very dark brown body with a finger or so of loose, light tan-hued foam to evaporates at a leisurely pace. Smell: Roast, toasted grain with a faintly sweetish touch of charred caramel with hop notes smelling of florals, citric fruit juice, and pine-esque resins. Taste: Well-roasted malts, a little sharp, with staunch resinous, citrusy tones. Secondary toastiness. Relatively subtle blackened caramel sweetness, a little rustic baker's chocolate. Floral, citrusy (Valencia oranges, grapefruit), resinous hops. Moderately bitterness. Some peppery alcohol, some spearmint, slight zesty woodiness, with a lingering bitterness into the finish. Overall: Not quite as dense or as bitter as expected, but, it's still fairly good. Reviewed from notes. Had on-tap at New World Brewery. Served, for some reason, in a stange. 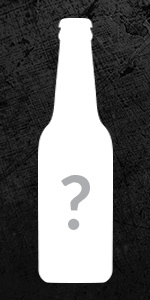 A: Very dark brown with a thin mocha head and minimal visible carbonation. I think this is mostly clear when held to the light, but it's so dark it looks almost opaque. S: Roasty malts, light coffee malts, and some pine, resinous and grassy hops. But not as big of a nose here as I expected. T: Follows the nose, but with some citrus hops I didn't get in the nose. The roasty malts are very nice, not overtly chocolate or coffee. Moderate pine bitterness in the hang. NOTE: When I had this in the bottle, there was significantly more chocolate malts in the flavor. In combination with the citrus hop flavor, it almost reminded me of a chocolate-covered orange. M: Relatively heavy-bodied, carbonation on the low side, moderate alcohol presence. I'd change that to well-hidden now that I see the ABV. O: This is pretty far from the hop bomb I expected. It's good, but closer to balanced than particularly hop-forward. Recommended to try, but there are other black IPAs that I would prefer. A very solid beer, and a good example of a well made American Black Ale. Some nice roastiness as a base for a solid hop profile of mostly citrus, but with a piney finish. Well balanced and well integrated. Juicy, and roasty in parts- which melds very well together. Really well done! A: The beer is very dark amber in color (near black when viewed from afar). It poured with a half finger high beige head that died down, leaving a patch of bubbles in the center of the glass and lacing down the sides. S: Light aromas of caramel malts are present in the nose along with hints of citrus and pine resin hops. T: The taste has flavors of dark malts with hints of caramel and notes of pine resin hops. Slight bits of sweetness are present. O: This beer is a little sweeter compared to other Black IPAs, but is rather easy to drink and hides its alcohol very well. Pours pitch black with a very solid two finger tan head. Amazing head retention that leaves behind very stout lacing. Very impressive. Aroma of pine and some citrus along with grass, orange peel, and smoke. Coffee and roasted malt are underneath but marry perfectly with the pine and citrus hops. There is also a dark fruit, port-like quality. The flavor brings out more of the stout characters with coffee and roasted malt but the hops are still very much forward. Pine is quite prominent but is solidly supported with orange and pineapple. Some chocolate rushes in late along with a moderate to high bitterness. One complaint I do have is that the malt flavor is a little soft and falls off too quickly. Still, the alcohol is well hidden and the beer is not too sweet. Overall, a very nice Black IPA and quite drinkable for being so strong. Another hit in the dank tank series from Sweetwater. A: Pours black with two fingers of khaki head that fades into a frothy ring with little lacing. S: Sweet citrus hop notes up front--oranges, pineapple, and tangerines mostly. Roasted malts with some char notes come through next, though are surprisingly subtle. T: The roasted malts dominate here with a charred, burnt flavor. Grapefruit and pine notes follow with a lightly bitter and citrusy finish. M: Medium body with carbonation on the lower side of moderate. This beer avoids being watery or oily feeling, but could use a bit more of a carbonation bite. O: An alright beer overall, though I wish it tasted as citrusy as it smelled. It's a bit too burnt tasting to me. 22 oz bomber poured into pint glass. No bottled-on date. Funny, absurd story on side of bottle. A: Pours a murky, dark-brown color; looks pretty black from a foot or two away but holding it up to the light reveals a little translucence. One inch of tan head with decent lacing. S: Smells like caramel and roasted malts with feint tones of chocolate and pine. T: Has a sweet, burnt sugar taste in the front, with a smooth anise/lightly hoppy back and has a smoky-dry aftertaste. Good balance. M: medium body with mild carbonation. would expect this beer to be a 7 or 8% ABV not a 10. O: Not what I was expecting, not quite a "black IPA" by characteristics IMO but a good beer in it's own right. Would have liked to see more hops, seems like it was added more as an afterthought. The drinkability is very high and would drink again. A: VERY Dark, but what was I thinking, it's a "black" IPA, right? S: Light, faint coffee, chocolate, floral. T: Follows the nose, with a stronger flavor than smell. Coats the tongue, with a bitter hop, and a peppery coffee/chocolate malt. M: Long finish, bitter, and nice for an IIPA. O: Going to have to get a second one and try it in six-months to a year.